Spacious, conveniently laid out home, large wardrobes. Plenty of kitchen cupboards, large fridge freezer. Warm and cozy all year round, with the sun and the fire place. In between the Tauhara and Hilltop shops, providing you with a small supermarket and bakery cafe at Tauhara, Chinese take-aways and restaurant at Hilltop. On-site parking for 3 vehicles (garage use reserved for owners only). Driveway not suitable for large trailers or caravans. 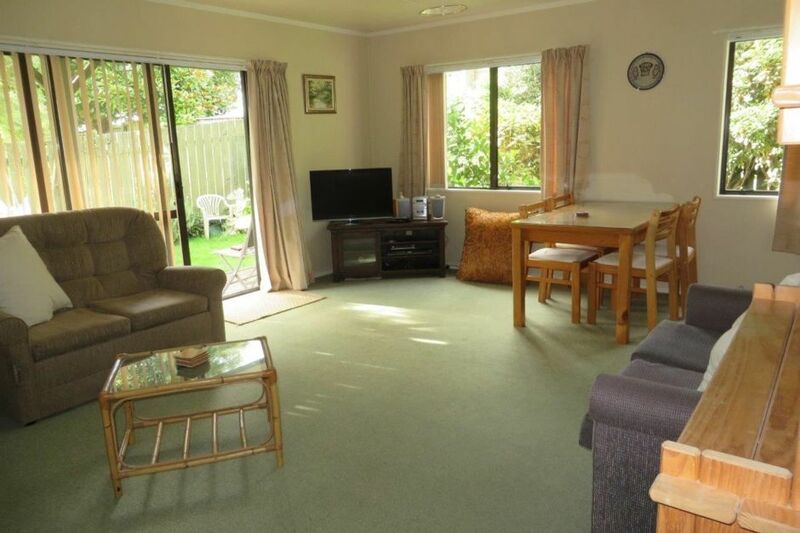 This property was my home since I bought it, until I got married February 2018, and moved to my husband's home in Whangarei. We are both semi-retired. It is very private and low maintenance, with enough garden to enjoy without becoming a burden. My former work at Lake Taupo Christian School was only a 2-minute walk away. Fully fenced for child safety, for the benefit of guests with young children. Taupo is a great base for many tourist attractions and activities. Crown Park, which hosts many sports and competitions, is over the back fence. Tidy home and very close to town center. Tidy home and very close to town center. We really enjoyed our stay and highly recommended.